This is a zero-waste design. The pattern pieces of a zero-waste design fit together such that no fabric is wasted during the cutting phase. In practice, this can mean eliminating the odd spaces between pattern pieces, designing pattern pieces that interlock like puzzle pieces, or creatively using up leftover bits of fabric to make embellishments, bias tape, and the like. Fashion designer Maartje Janse created zero-waste patterns for her label Studio Men (in collaboration with designers Elysanne Schuurman en Nikki Duijst). This collection was shown at Amsterdam Fashion Week, Summer 2017. One of the designs she created is this sleeveless jacket. In this workshop it is possible to create this design with the fabrics of your own choice, like wool or cotton. You can book this workshop with the materials in- or excluded. Maartje Janse is guiding you through the process of making. This workshops includes coffee, tea, sweets and a vegan lunch. 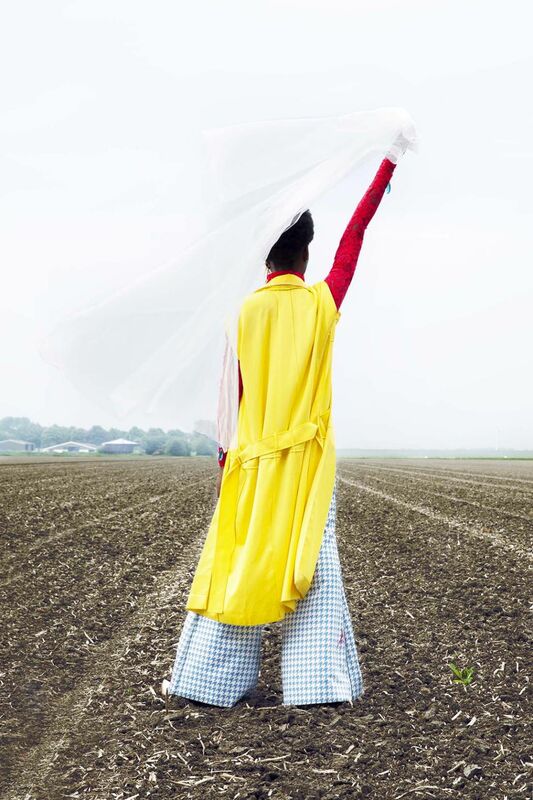 Maartje Janse graduated with a bachelor fashion design at ArtEZ in 2015. While she participated in Moam Collective 2016, she met designers Nikki Duijst & Elysanne Schuurman. Together they initiated Studio MEN. Last year Studio Men was for example part of Amsterdam Fashion Week. Maartje Janse is hosting our pattern drawing courses and one-day workshops. *After purchase you can download a list with the details of the materials you need. If you want to take the pattern of the exclusive piece home, it costs 39,95 euro extra.